Clarence Major (b. 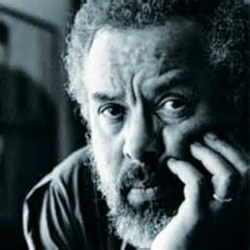 1936) was born in Atlanta, but grew up on the South Side where, he says, “…the writerly disposition that was then evolving was shaped by my life in Chicago.” His wide-ranging styles—often praised for their mixtures of slang, history, avante garde experimentalism, vigor and gentleness—are rooted in the fact that while he remains firmly planted in Black culture and its South Side moods, Major has also shaped a truly international, cosmopolitan career and vision. “Paris! Why Paris? 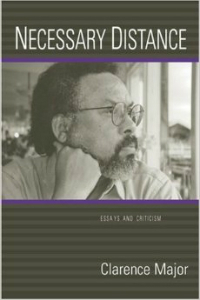 Why did I—or any African American artist or writer—go to Paris?” he asks in a recent essay. But he knows that, “Even before the end of slavery, free mulattos, some of them artists, were traveling to Paris…,” thereby establishing a tradition followed by hundreds of artists, dancers, musicians, and writers—including Beauford Delaney, Josephine Baker, James Baldwin, Richard Wright, and Major himself, whose 1985 book of poems Inside Diameter: The France Poems contains some of his most powerful work. people themselves are like bushes near water. They drink it through their roots. comes on because talking begins from fear. that lead us into each other’s lives. 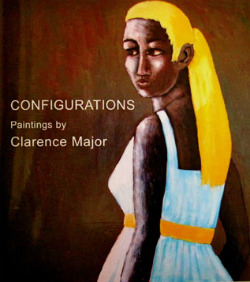 One realizes, then, that Clarence Major’s wide-ranging styles—his masterful mixtures of slang, avante garde, and more mentioned above—both carve out roads for different kinds of lives to enter each other, and also prove that they already have. In this and many other ways, Major establishes himself as one of Whitman’s most important heirs. ♦ Go to the Black Writing from Chicago page, where you can also BUY the book. This entry was posted in Black Writers, Chicago Writing and tagged Black Writing from Chicago: In the World-Not of It?, Clarence Major, Walt Whitman. Bookmark the permalink.